​VR is getting more and more popular every single day, and I am sure that it will become the must-have thing for every home. Ages don't matter because this thing is interesting for both kids and adults. This time I created the list with best VR for kids! So if you want to learn more about VRs in general, or just want to buy one for your ​child, keep reading this post. It maybe isn't the shortest one on the internet, but that's because I covered every aspect that is important while buying the best VR for kids. ​What Is The Best VR For Kids? ​​First of all, let's get in touch with the most recognizable brands in this world. There are a couple of them, and I think it is ​important to know their name. The first on this list is Sony. Sony is well-known brand and I am sure that a lot of you have Playstation or something other from them. I really like their brand, and they also got into Virtual Reality world. The one that they make is specially made for their console, and it costs a little bit more. If you want, you can check it here. HTC is another great and popular brand, but I think that they don't make great phones anymore. I personally owned one of their phones, Desire S, a long time ago. However, they are focusing on VRs and they made a great one. It costs a lot, and I don't recommend it for kids, but for adults, it is a mastery. You can check it by clicking here. I don't know if you ​heard about them, but they are one of the first VR brands that came out with this kind of stuff. They make high-end VR products, and I like them. I used it once, and I think it is one of the best VR sets on the market right now. If you want something really good, and you have enough money, you can buy it here. And the last brand that I will mention here, Samsung. I really like Samsung, and every product that they make is top notch one. They also made VR product, and I like it. For this amount of money, you are getting nice features. I will talk more about these later, but you can check it by yourself here. 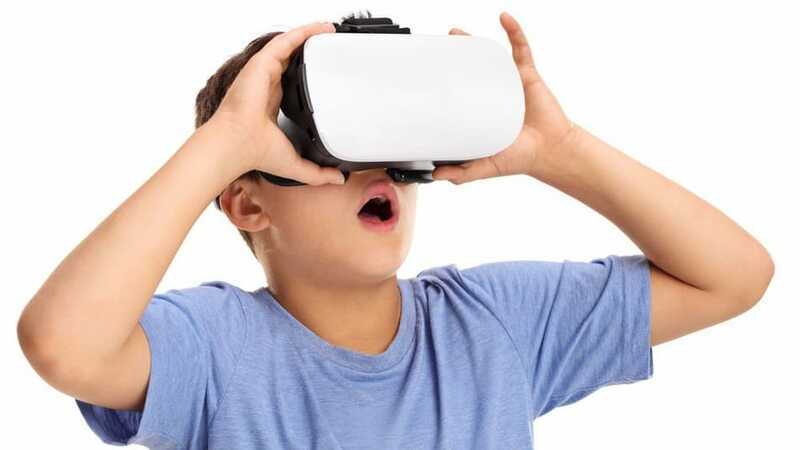 Now, let's take a look at best VR for kids because that's the reason why you came here, right? However, I needed to show you the best VR brands, and I hope you learned something already. I already mentioned them earlier. Man, Samsung is very good brand and you can't go wrong with them. Maybe you prefer Apple iPhone more than some Galaxy or Note, but you can't say that they make bad stuff. That's just wrong. I really love VR that they made, and it can potentially be the best VR for kids, trust me! It is quite affordable. I don't say that it is cheap, but you can't pay less than this for good VR with ton of great features. This one is coming with nice controller, and I am sure that your kids will like it. It is very nice, and it reminds me of Wii. You remember it, do you? We all played tennis, golf, bowling games on it, and it was so good. I always loved it. This one is compatible with 8 Samsung phones, and that's the only downside that I have. However, if you have Samsung mobile phone (from Galaxy S6 to newer ones) you can use it. 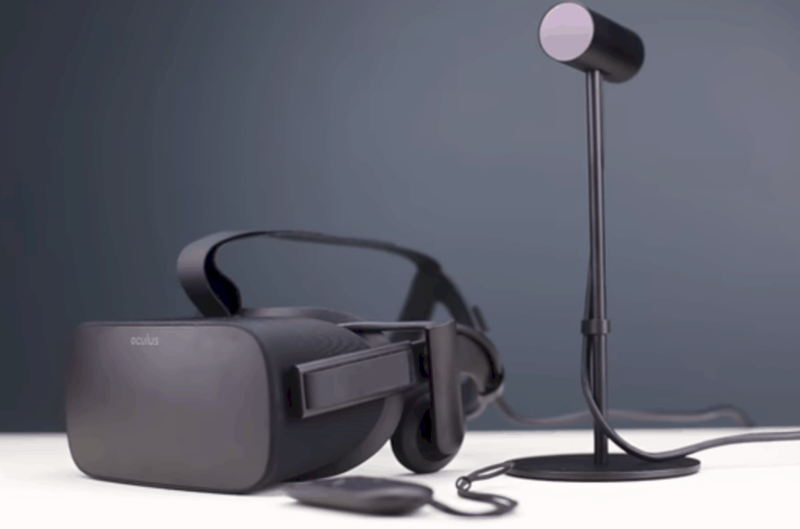 They are also with Oculus, so you will have a ton of Oculus games and apps! Google Daydream View is another great choice for this list. It doesn't cost much and I really like the design of it. It has that simple and elegant look with small 'G' logo on the side. It is all grey, but you can get it in a couple different colors. The main purpose of this VR is to introduce you to this world. I think that it is a little stupid to buy HTC Vivo and spend $700 on VR if you never tried it. It is like buying iPhone X for the 5-year-old kid. I think it is stupid, but that's just my personal opinion. Daydream View is very light VR and you won't get tired wearing it for a long time so you shouldn't worry about that. It is also comfortable and that's very important part for while buying the best VR for kids. You can't get them something heavy and made of hard materials. You are also getting controller. It isn't the most advanced one, but it is doing the job. Just to make it clear, this isn't the best VR on the market, but for this amount of money, it is great. You should definitely check it out! ​If you really want to surprise your kids, nd get them something special, this is it. Just look at the picture. It is for PROs and everybody will like it. You can't go wrong with it. As I said before, Oculus is one of the most famous VR companies and they make top notch stuff. ​Choosing the right VR for your kid is hard, but it is also exciting. I always love the moment when I need to buy some new technology for me and my home. I really hope that I helped you with choosing the best VR for your kids, and if I did, let me know in the comment area down there.